In 2014, the Supreme Court ruled in favor of my client, Alabama engineer Shaun McCutcheon, in his challenge to the Federal Election Commission's (FEC) outdated "aggregate limits," which effectively limited how many candidates any one donor could support. Anti-speech liberals railed against McCutcheon's win, arguing it would create supersized "Joint Fundraising Committees" (JFCs). In court, they claimed these JFCs would allow a single donor to cut a multimillion-dollar check, and the JFC would then route funds through dozens of participating state parties, who would then funnel it back to the final recipient. Democracy 21 President Fred Wertheimer claimed the Supreme Court's McCutcheon v. FEC ruling would lead to "the system of legalized bribery recreated that existed prior to Watergate." The Supreme Court, in ruling for us, flatly stated such a scheme would still be illegal. The Democrats' response? Hold my beer. The Committee to Defend the President has filed an FEC complaint against Hillary Clinton's campaign, Democratic National Committee (DNC), Democratic state parties and Democratic mega-donors. As Fox News reported, we documented the Democratic establishment "us[ing] state chapters as straw men to circumvent campaign donation limits and launder(ing) the money back to her campaign." 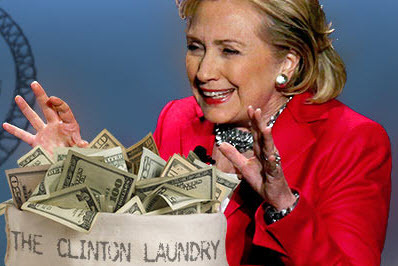 The 101-page complaint focused on the Hillary Victory Fund (HVF) — the $500 million joint fundraising committee between the Clinton campaign, DNC, and dozens of state parties — which did exactly that the Supreme Court declared would still be illegal. HVF solicited six-figure donations from major donors, including Calvin Klein and "Family Guy" creator Seth MacFarlane, and routed them through state parties en route to the Clinton campaign. Roughly $84 million may have been laundered in what might be the single largest campaign finance scandal in U.S. history. Here's what we know. Campaign finance law is incredibly complex and infamous for its lack of clarity. As I've explained before, its complexity is a feature, not a bug. Major political players with the resources to hire the very few attorneys who practice campaign finance law benefit from the complexity that keeps others out. Perhaps HVF's architects thought so too, and assumed that if no one understands what's happening, no one would complain. Here's what you can do, legally. Per election, an individual donor can contribute $2,700 to any candidate, $10,000 to any state party committee, and (during the 2016 cycle) $33,400 to a national party's main account. These groups can all get together and take a single check from a donor for the sum of those contribution limits — it's legal because the donor cannot exceed the base limit for any one recipient. And state parties can make unlimited transfers to their national party. Here's what you can't do, which the Clinton machine appeared to do anyway. As the Supreme Court made clear in McCutcheon v. FEC, the JFC may not solicit or accept contributions to circumvent base limits, through "earmarks" and "straw men" that are ultimately excessive — there are five separate prohibitions here. On top of that, six-figure donations either never actually passed through state party accounts or were never actually under state party control, which adds false FEC reporting by HVF, state parties, and the DNC to the laundry list. Finally, as Donna Brazile and others admitted, the DNC placed the funds under the Clinton campaign's direct control, a massive breach of campaign finance law that ties the conspiracy together. Democratic donors, knowing the funds would end up with Clinton's campaign, wrote six-figure checks to influence the election — 100 times larger than allowed. Did any of these transfers actually happen? Or were they just paper entries to mask direct transfers to the DNC? For perspective, conservative filmmaker Dinesh D'Souza was prosecuted and convicted in 2012 for giving a handful of associates money they then contributed to a candidate of his preference — in other words, straw man contributions. He was sentenced to eight months in a community confinement center and five years of probation. How much money was involved? Only $20,000. HVF weighs in at $84 million — more than 4,000 times larger! So who should be worried? Everyone involved — from the donors themselves to Democratic fundraisers to party officials who filed false reports and, ultimately, to Clinton campaign and HVF officials looking at significant legal jeopardy. Don't take my word for it. Our complaint is built entirely on the FEC reports filed by Democrats, memos authored by Clinton campaign manager Robbie Mook, and public statements from Donna Brazile and others. The only question that matters: Was the law broken? If the answer is yes, then the corrupt Clinton machine should be held accountable. Backer is a veteran campaign counsel, having served more than 100 candidates, PACs, and political organizations, including the Committee to Defend the President. He is founding attorney of political.law, a campaign finance and political law firm in Alexandria, Va.